So exclaimed Denise Bacon last week, after completing her first time as chair of our annual fundraising auction. Held March 18 at the Allison, the auction likely grossed $155,000, according to Denise. Wahoo! Kudos to Denise for her leadership and to everyone who volunteered to help to make the auction such a success. Here are some photos of just a few of the club members who helped to set it up. Matt Stephens, left, and Corey Zielsdorf spent the morning of auction day organizing all the amazing wine donations. 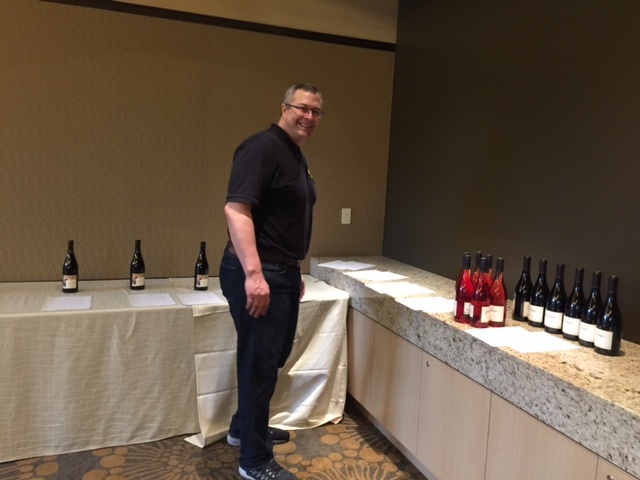 Dave Parker, below, was also a wine organizer. LeRoy Benham, right, takes a quick break before starting in on organizing balloons. 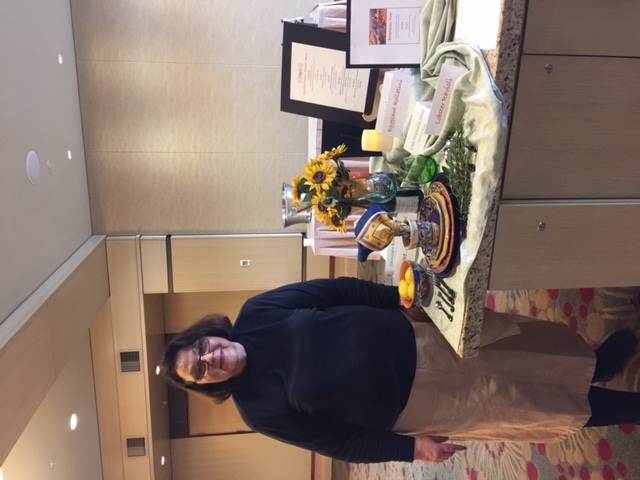 Laura Tilrico, below, next to her artistically displayed donation of a fabulous gourmet dinner. 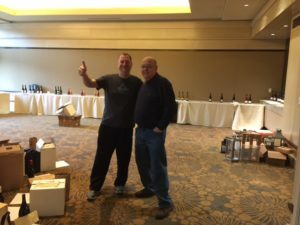 Steven Palmer, left, and Jack Czarnecki, played huge roles in getting all that wine donated and to the site. Thanks, guys. Adam and Alanna discuss Instove. PROGRAM: Our program last week was given by Adam Creighton and Alanna Miel from Instove. Their slogan is “One stove, a world of solutions.” They told us how wood smoke kills more people annually than AIDS, and particularly affects the health of women in poorer countries. Their ultra clean cookstoves, which eliminate smoke and back carbon emissions, are designed to address these issues. They sell to the institutional, not household, market. Their estimates are that these stoves can save 100 million trees, reduce indoor air pollution and address the many problems around open-fire cooking. They said the stoves are cleaner than propane, reduce fuel use by 75 to 90% and reduce cooking time by 50%. In addition, they produce 90% fewer harmful emissions. Instove is a 501c3 and operates as a hybrid profit/nonprofit. Their stoves are available in 39 countries, but they are focusing on Kenya and Ghana. Adam and Alanna are out raising awareness of their product and fundraising. They are developing partnerships, and hope to start work to help the stoves feed more refugees and school children. Auggie Gonzales asked that we share the blogsite “Guatemala Community Service Project” with you. For some reason, I cannot get the live link to transfer here. But PLEASE do take a minute and look up the blogsite. 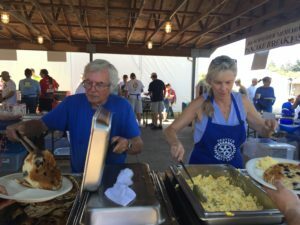 You can read all about the good our club and Rotary are doing in the world, and share it with your friends and family. Thanks, Auggie. Ken VanDomelen, a visiting Rotarian from the Tigard Club. 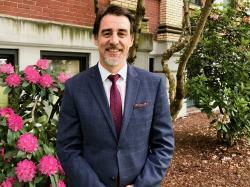 Special kudos also to Geoff Gilmore, who offered to match last week’s Duck’s proceeds for polio. The take to match was $108. 25! Thank you, Geoff! 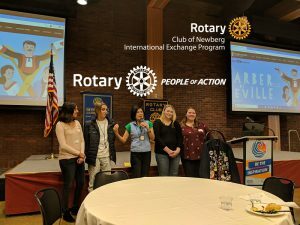 The Rotary Peace Fellow program is so awesome, and the folks who are selected to participate in it are even awesome-er! Ana Patel describes her experience as a Rotary Peace Fellow. We heard from one such awesome person last week in the form of Ana Patel, executive director of the Outward Bound Center for Peacebuilding. Ana’s Center is an independent affiliate of that Outward Bound–the one you’ve all heard about, the one where they use the outdoors as a classroom. The one that operates in 37 countries globally. And in Ana’s case, the one where they teach character, and how to make decisions together in a remote, isolated, neutral location. Ana is a grad of Lewis and Clark, and has her master’s from Columbia University. She was also a Peace Corps volunteer in the Dominican Republic and has done work in Africa. 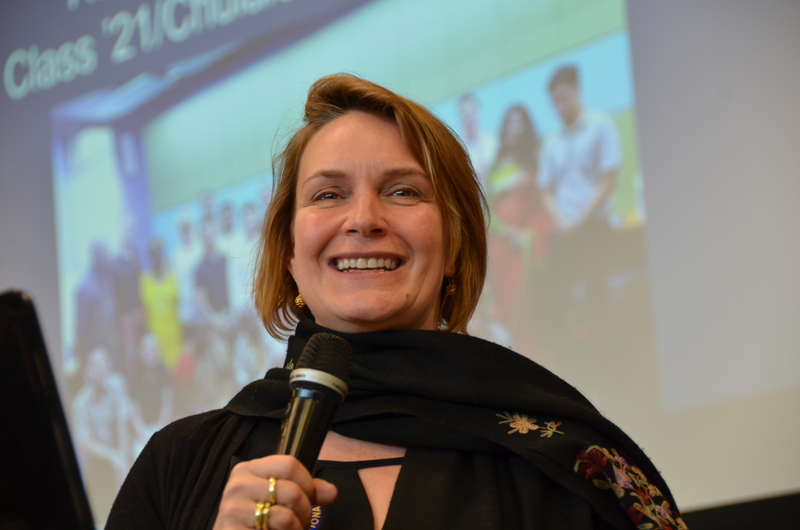 Our own District 5100 sponsored her mid-career fellowship at Chulalongkorn University in Thailand in 2016. She said there were 24 Peace Fellows from 17 different countries in her class. She gave examples of the type of people participating, such as a woman police chief from India and the head of a mediation center in Cairo. “It was an incredible program because of the professors and their knowledge and references,” she said. Their curriculum included field studies…one at the Thai border and one in Cambodia. She described the problems which still exist in Cambodia and reminded us that the Khmer Rouge still governs that country. “As a society, we tend to focus on what divides us. If you reflect on peace and violence, violence is easy to identify, but peace is harder,” she said. The Peace Fellows learned it helps to focus on what connects us, and she described how focusing on a water project helped to bring people together and put aside their differences because everyone needs water. Club President Leah Griffith, left, Terry Weldon, Bob Ficker and District Governor Tom Markos celebrate Terry’s induction into our club. New member Terry Weldon, with Premier Community Bank, was inducted into the club last week. He was sponsored by Bob Ficker, and will jump right in and become club treasurer after Dawn McClard finishes her term. 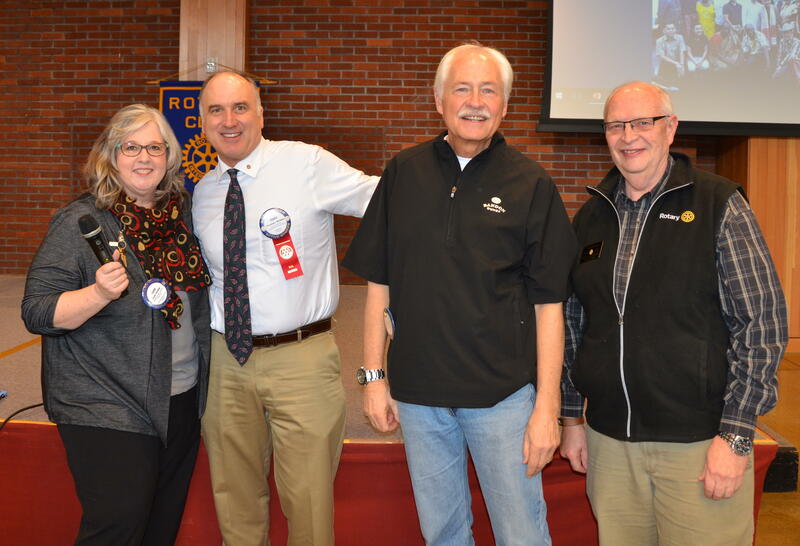 District 5100 Governor Tom Markos was in the house, and gave Terry his Rotary pin….. that sure doesn’t happen every day. Welcome, Terry. 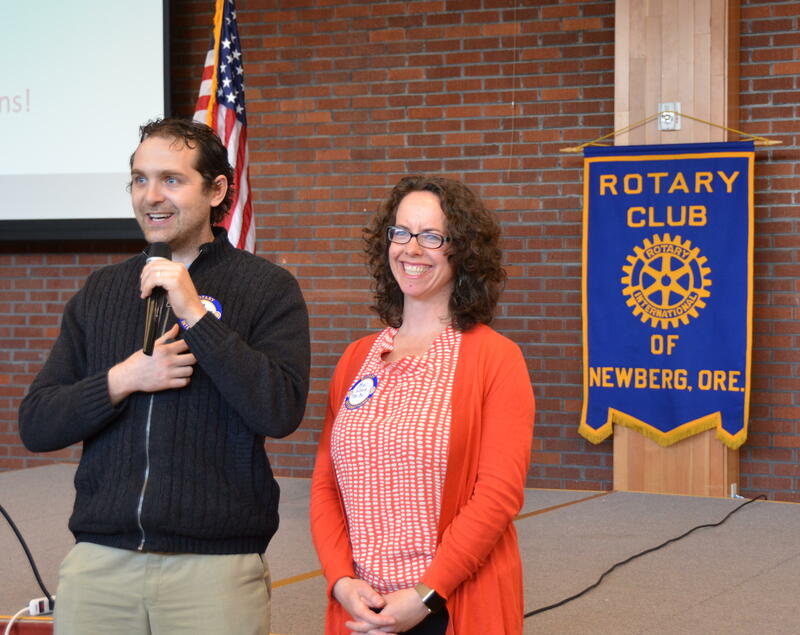 President Elect Todd Engle reminded us of the District training event coming April 22 in Troutdale. Please contact him if you are interested in attending. Todd said Lynn Montoya Quinn is planning to go to learn to become a back-up grant writer for Laura Tilrico. Lynn is also planning to go on this year’s Guatemala trip to help do a needs assessment. Our annual fundraising auction is THIS COMING SATURDAY. Holy cow, it’s here! If you have not purchased your dinner tickets or golden tickets, really time to get busy. It’s not too late to donate items for the silent auction, or to sign up to help with prep/setup/tear down, either. Mike Caruso brought lots of guests last week. Mike’s wife, Amy, joined us, as did Past District Governor Reg Keddie and his wife, Ann. 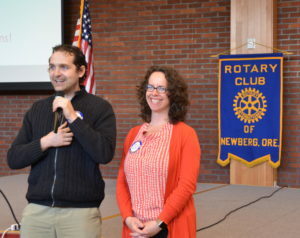 Mike also introduced Elizabeth Sherwood of Newberg Friends, one of the organizations installing a Peace Pole soon as part of our Rotary project. Future DG-to-be Larry Hatch was also a guest. 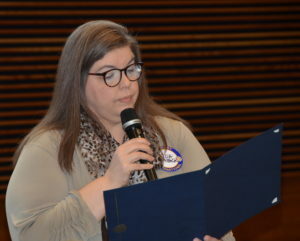 George Fox assistant professor Tricia Hornback reads the “I’m Glad Your My Neighbor” proclamation. Tricia Hornback, an assistant professor at GFU, was a guest of Fred Gregory. 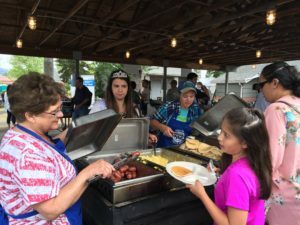 Tricia was responsible for organizing the “I’m Glad You’re My Neighbor” campaign for Newberg, and read a proclamation that the mayor and the city council had approved the night before. If you would like to purchase a yard sign or a tee-shirt with the “Neighbor” message, please let Fred or me know. 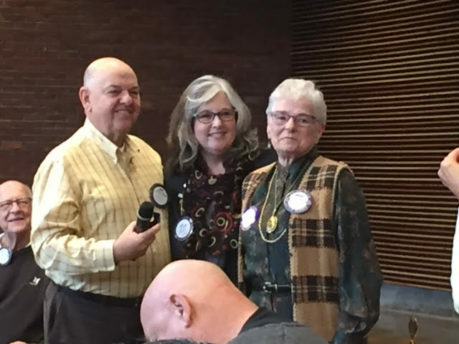 Marni Haley, shown at left with Mike Caruso and Leah Griffith, was honored for her 20 years of service to Rotary with a special pin. Along with LeRoy Benham, Marni was one of the founders of the club’s Guatemala dental program. Rotarian Dale Welcome with residents of Godamchour, Nepal. 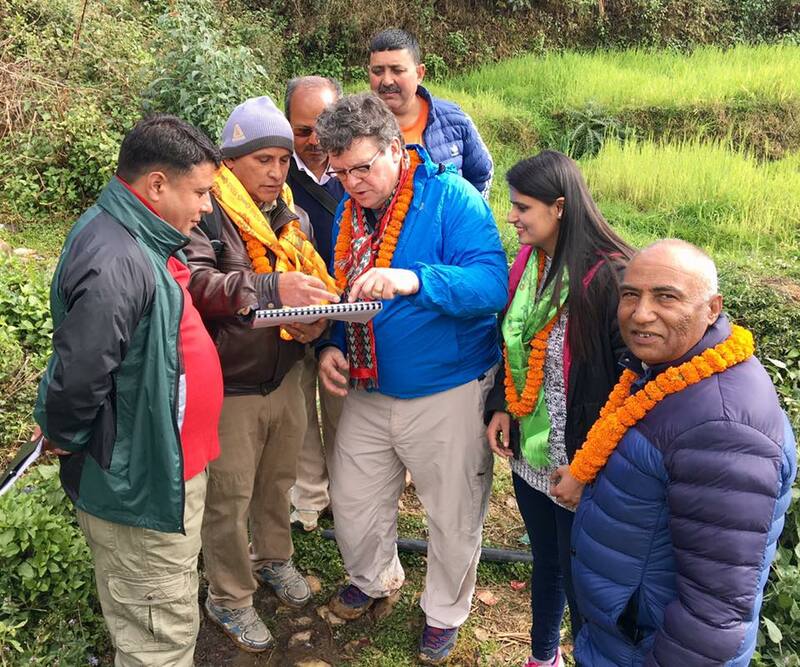 Our very own Dale Welcome was in Godamchour, Nepal recently, and was able to meet with people there on our club’s global grant clean water project. Laura Tilrico shared this photo. 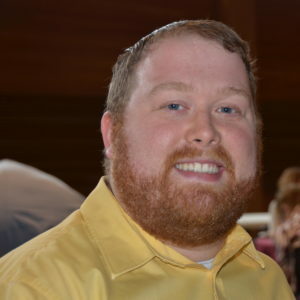 Aaron Lewis reported that May 31 will be the deadline for receiving RYLA applications. The event will be in July this year. If you know of any 19-29 year olds who might benefit from this leadership training, please contact Aaron. Last week we had a fun meeting learning all about one of newest members Dan Keuler. 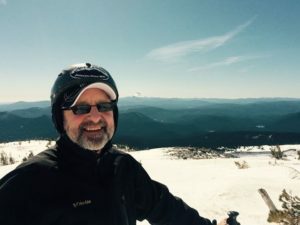 Dan is an accountant for the City of Newberg and he shared how accounting came to him as a young man in high school and he discovered he had a knack for it. He also discovered in college the job market is excellent with 100% of the students in his class having jobs at graduation! A pretty good career plan Dan. He also shared his life story including the fact that he’s a fan of Karaoke and he even sang a bit for us. We learned about his family that includes his brother and parents who now live in Hawaii. 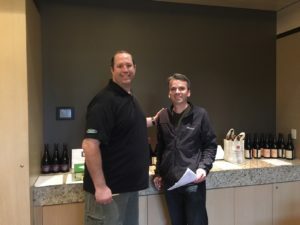 He also got married in November and he is now buying a house in Newberg and his presentation ended with an ultrasound of his baby due in August! We decided that was a first for Rotary, we’ve never had an ultrasound in a classification talk. The Auc tion is just a few weeks away on Saturday, March 18th and it’s time to really step up. Buy your Golden Tickets and dinner ti ckets. It’s really good if you can pay cash and so I challenge you to bring a couple $100 bills to club on Wednesday to buy your tickets! Curt Walker had a couple of C-notes with him last week and got his Golden Tickets. Good job Curt. Also get your auction items in as well. You can bring them to club. You also got the email from Paula about signing up to help out. Just click here SignUp Schedule to sign up. We are also getting ready to become a Peace Pole city with dedications set for Friday April 14th at 11 am. 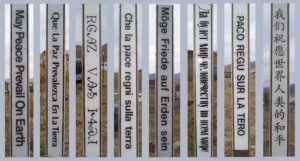 We need Rotarians to be at 11 of the poles for a short dedication ceremony. Mike Caruso will have the ceremony outlined and we’re joining with the Early Birds for the dedications. Click here to sign up: SignUp Schedule It will only take a few minutes and especially if you work at the site (like me and the library), please sign up to be there for the ceremony. Don Skei is still recouping from his stroke he had in November. Dawn McClard is taking a much need vacation from managing the practice as well as taking care of Don. 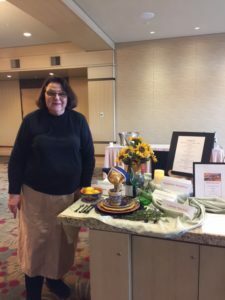 She asked, and if you could it would be great, for Rotarians to try to visit Don while she’s gone for the week, starting on March 8th. 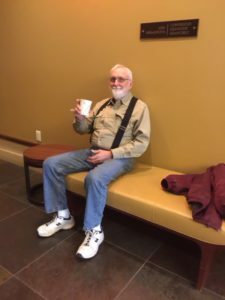 He’s at a rehabilitation facility just off Capital Highway and I-5. 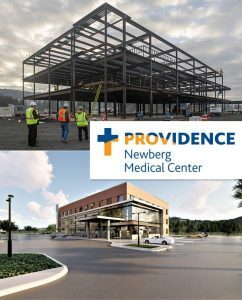 The place is called All Comfort Care at 9347 SW 35th Ave Portland, 97219 503-977-0606. He’s in room 7. We know he would love to see some of you. On Wednesday we’ll be hearing from Anna Patel, who is a Peace Fellow. We’ll also be inducting Terry Weldon to the club. See you Wednesday at the Cultural Center.